Comforts of Home housing is available both to exchange students who are looking for housing independently, and to students coming to Paris through organized study programs who work exclusively with COH. We provide everything you need for a comfortable, easy stay in the City of Light: fully-furnished apartments in great neighborhoods, with everything included in the price: internet, utilities, renters' insurance, local taxes, on-call maintenance service, monthly cleaning (with the option of weekly cleaning), and more. We also have a 24/7 emergency line so you can reach us in any urgent situation, even if our office is closed. 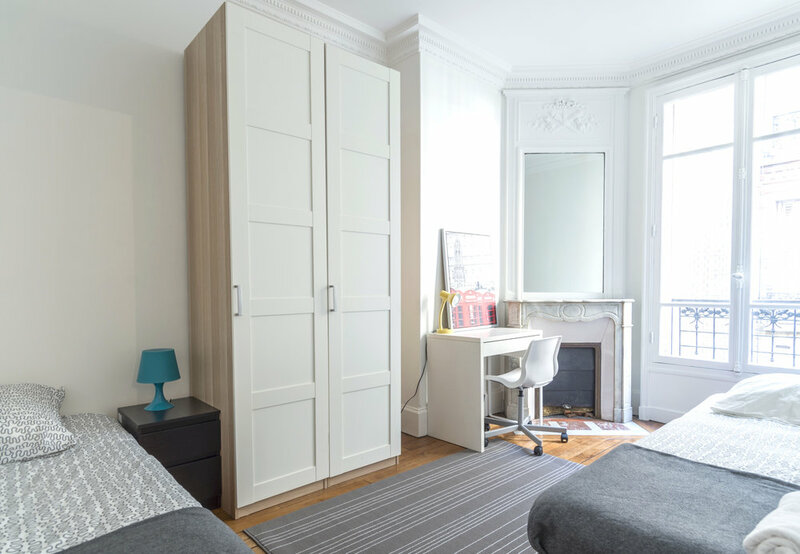 If you're a student or intern looking for housing in Paris on your own, you can start the process by sending a reservation request. (If you received a school-specific reservation link through your university, please register there directly!) All-inclusive prices for independently-registering residents start at 880 euros per month. If you are reserving your housing with us on your own, we'll first send you a price quote based on your housing dates and preferences. We'll ask you for a little more information about yourself to help us in the housing process, and will send you an email explaining how to make your first payment through our online portal. Once you make your first payment, your reservation will be confirmed! Next, we'll send you a Housing Preferences Survey to fill out (we'll send this to you several weeks before your arrival). We use this to match you to an apartment and/or roommate that's right for you. We make every effort to take your preferences into account and match you with someone with whom you'll have a good stay. We'll send you your apartment assignments and apartment-mate contacts at least two weeks before check-in. When you arrive, you'll come to COH's office for a brief orientation where we'll give you your keys and apartment entrance information. Then you'll be off to your new home in Paris!